Happy birthday to Raspberry Pi: A retrospective! @Raspberry Pi #PiDay #RasberryPi « Adafruit Industries – Makers, hackers, artists, designers and engineers! 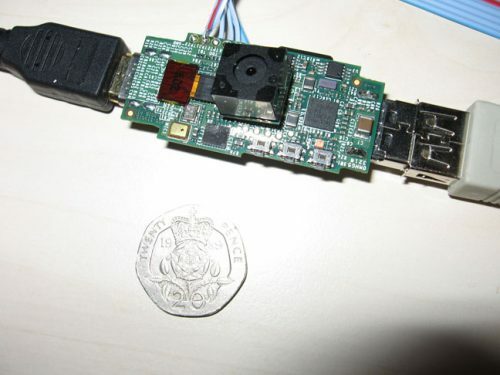 Lovely post from Eben Upton of Raspberry Pi in honor of the board’s 6th birthday. The eagle-eyed among you may have noticed that today is 28 February, which is as close as you’re going to get to our sixth birthday, given that we launched on a leap day. For the last three years, we’ve launched products on or around our birthday: Raspberry Pi 2 in 2015; Raspberry Pi 3 in 2016; and Raspberry Pi Zero W in 2017. But today is a snow day here at Pi Towers, so rather than launching something, we’re taking a photo tour of the last six years of Raspberry Pi products before we don our party hats for the Raspberry Jam Big Birthday Weekend this Saturday and Sunday. Before there was Raspberry Pi, there was the Broadcom BCM2763 ‘micro DB’, designed, as it happens, by our very own Roger Thornton. This was the first thing we demoed as a Raspberry Pi in May 2011, shown here running an ARMv6 build of Ubuntu 9.04.